I’m an official craft product designer, someone pinch me!! 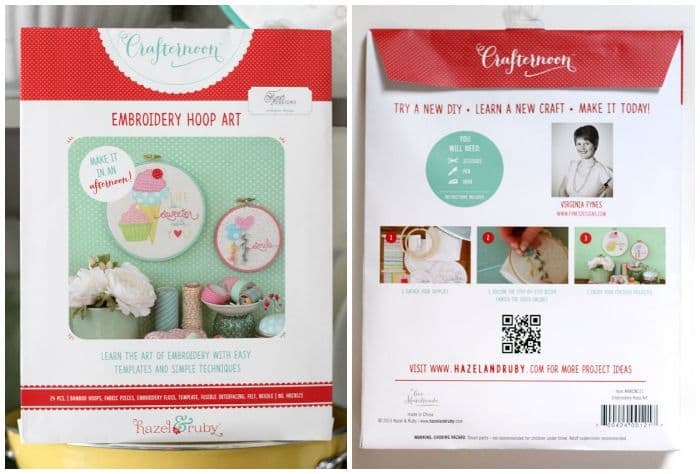 I’ve partnered with Hazel and Ruby to create a Embroidery Hoop Art project. It was a loooong process, (it all started back in November), such a reward to see it all come to life. Next to growing a couple humans, this might be the coolest thing I’ve done! Remember back in January when I stressed how busy I was? Turns out there is A LOT of work that goes into designing a product! First coming up with a design, shopping for materials, choosing just the right colors, executing it, trying to stay on trend, executing it again, changing your mind on the design, executing it, tweaking, deciding you hate your handwriting, executing it again. Yup, that process went on for a month, I’m a tad indecisive. Then came the developing the kit part. Creating a paper pattern, cutting out the pieces, measuring everything a 1000 times, measuring again to be sure, packaging it all up to be sent off to different manufactures to be sourced and priced, the process goes on. I even went to the Hazel and Ruby Studio in Utah this past April to take photos for product packaging. But here we are, a few months later and I have all that experience under my belt, and eager to do more! 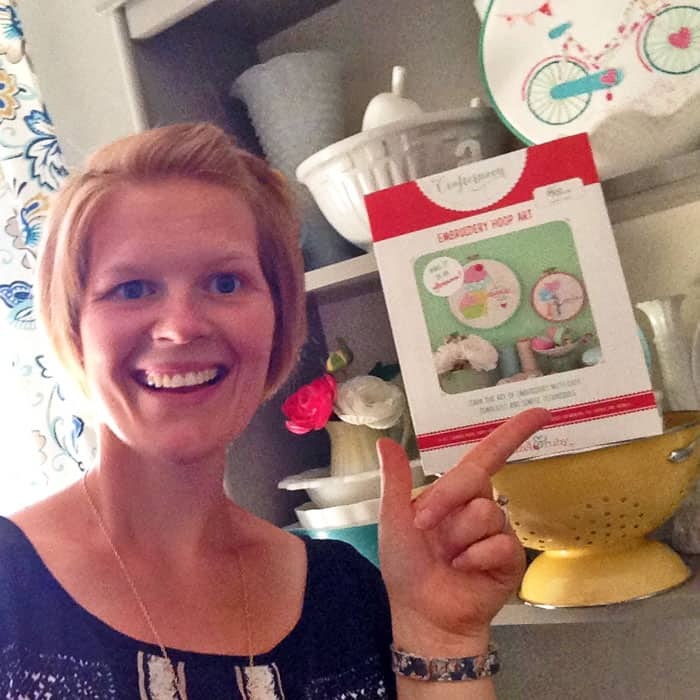 Don’t worry if you’ve never tried embroidery; there is a step by step recipe card, plus if you scan the QR code with your smart phone you can watch a video I put together showing you exactly how to make it. 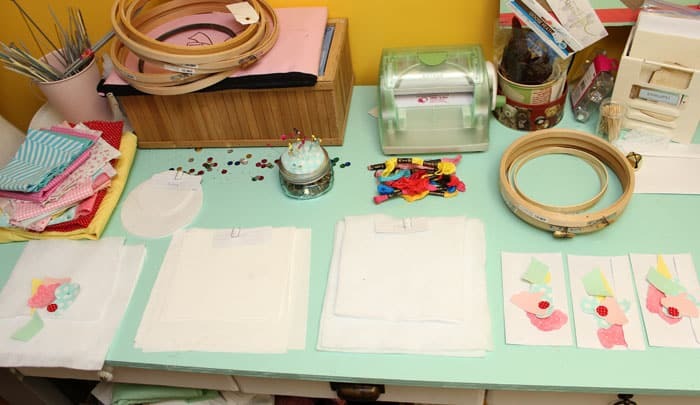 You can make this cute embroidery project in just an afternoon! 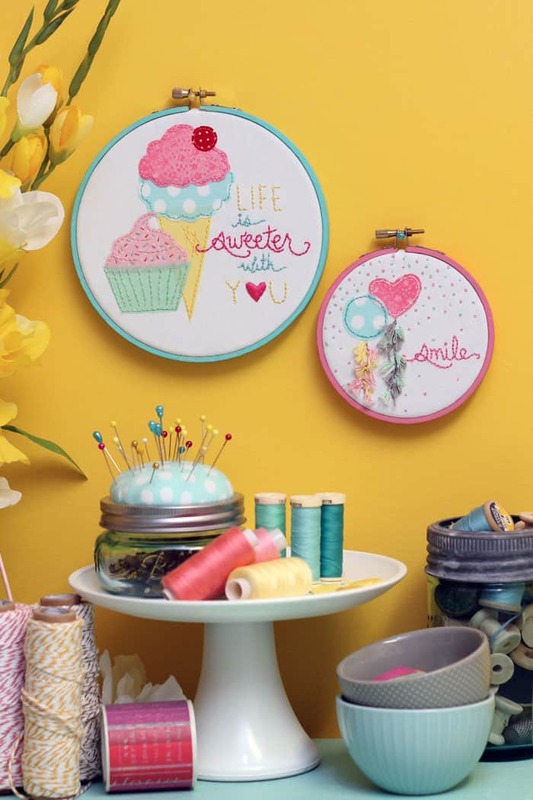 These embroidery hoop art kits are perfect for an afternoon kicked back on the sofa, a ladies night out, or a gift for your crafty bestie. The best part is everything you need to complete it is in the package! I’m so excited about this project, and very thankful for all the social media love, I feel all warm and fuzzy. I wish I could pop into the store to see it, but I’ll just jump for joy here in my kitchen! 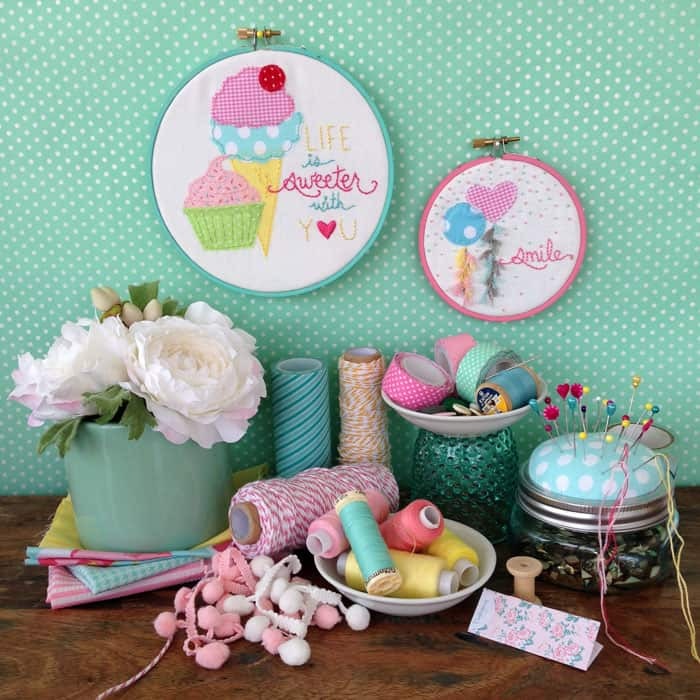 You’re going to love her project, she is one of my favourite crafters, a must see Insta feed! These couldn’t be sweeter! Love the concept of these new kits! I’ve just recently started getting into embroidery, since my Great Grandmother’s eyesight started fading (but her love of embroidered things hasn’t!). I can’t wait to create something bright and cheerful and fun like this for my daughters’ bedroom! Thanks for sharing, found you at Mom 2 Mom! 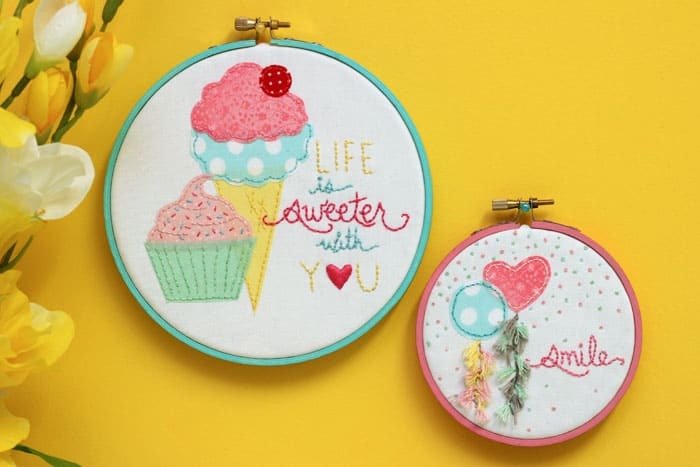 I love embroidery hoop art, and these are so cute! You make me want to take up embroidery! These are so darling! Thats the great thing about these kits, a perfect way to learn and see if you like it without breaking the bank!